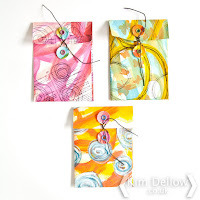 My Blitsy tutorial share this week is some inspiration for making your own art journal. Lots of folks make their own art journals and it is a truly wonderful way to expand your journaling practice. 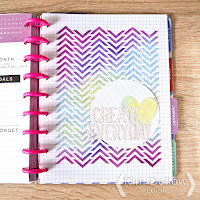 But I want to persuade you to take your DIY art journal one step further and use the Happy Planner Disc bound system to bind your journal. But why Kim? I hear you ask, right? Well let me tell you why I think it is a great system to use for your art journals! With a disc bound system you can get total art journaling flexibility, more so than a lot of other binding systems or methods. 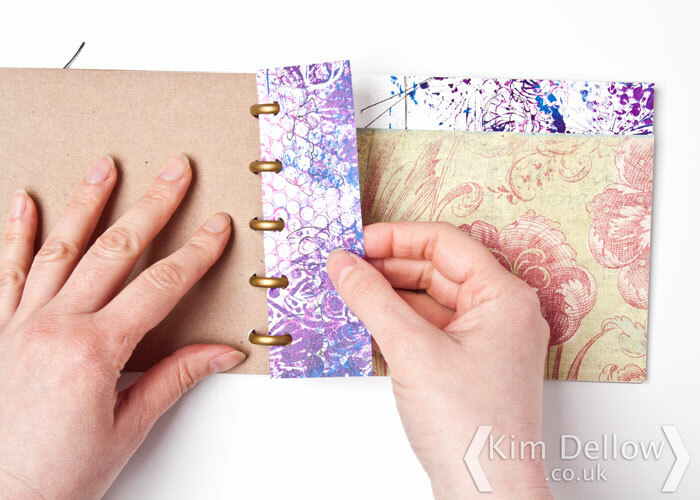 You can make it any size and shape that you want, you can pop the pages in and out as often as you wish and you can make it fat for when you have a portfolio of pages to group together in your studio or thin if you just want to pop it in your bag to take it out and about. For me, the thing I really like about the idea of having a disc bound art journal is that I can reorder pages, group different ones together, take the a page out to work on it then pop it back into keep the work together and if I feel like working on a small surface one day and a large surface the next I can! This kind of flexible art journal can totally reflect where you are in your art and the stage that you are at. Then when you think you have enough pages to group into an archive you can and start another disc bound journal to work in. I don’t know, it just seems like a great idea to me, have a go and tell me what you think! 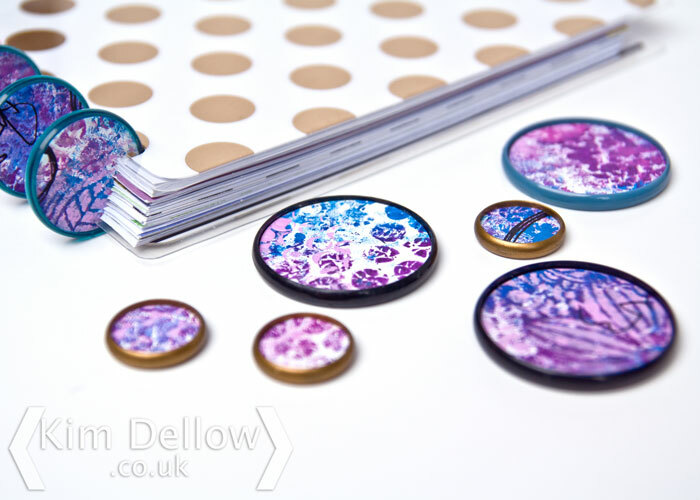 If you want some tips on how to get started with it as well as a trick for making a hard cover to lean on then you can get all the details over on my ‘How To Make A Disc Bound Art Journal’ blog post on the Blitsy blog. Let me know how you are using your Happy Planner discs! 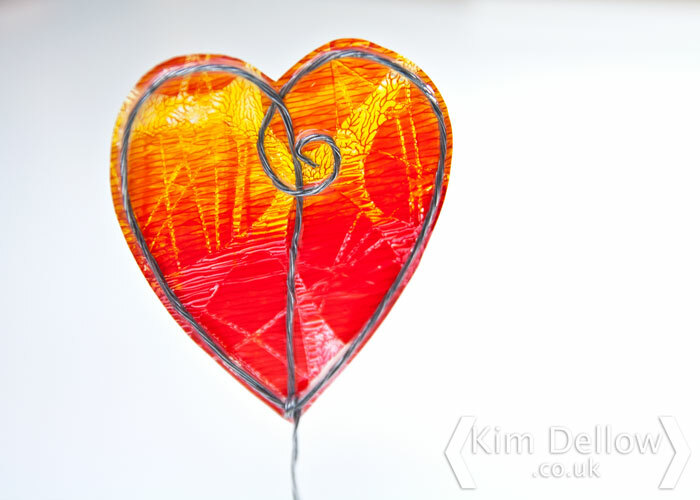 Here is my heart – well my mixed media heart that is! It is my new tutorial over on the Blitsy blog this week, where I walk you through how to make one of your very own. If you haven’t guessed what it is made from yet (and the title of this blog post kind of gives it all away!) it’s a gel skin heart and is really easy to make. I’ve made mine into a little free-standing home decor item. But you can make them into embellishments for your projects or banners for your parties, in fact I’m sure there is no end of things you can do with them! You know I have just realised that I’ve not really mentioned how big this heart is in the post, ok, just let me go and measure it for you…ok, so my little heart is around 5.5 cm (2 1/4“) wide at it’s widest point and 7 cm (2 3/4“) high but with the stand it measures 10 cm (4”) high. There are different ways you could make this gel skin heart but in the way I chose for my new tutorial I show you a trick for adding a little bit of texture to the look of the heart too. Don’t be fooled by appearances it is in fact perfectly smooth on both sides. But I am not going to spill the beans here you will just have to see my ‘How To Make A Gel Skin Heart’ tutorial for yourself over on the Blitsy blog. Have you tried making gel skin items yet? If you do have a go at this do come back and share any makes you do using this technique, I always love to see them. Have you seen Trish Latimer’s lovely new stamps? I’ve been having a little play and I’m in love! If you have seen them then you will know what I mean! 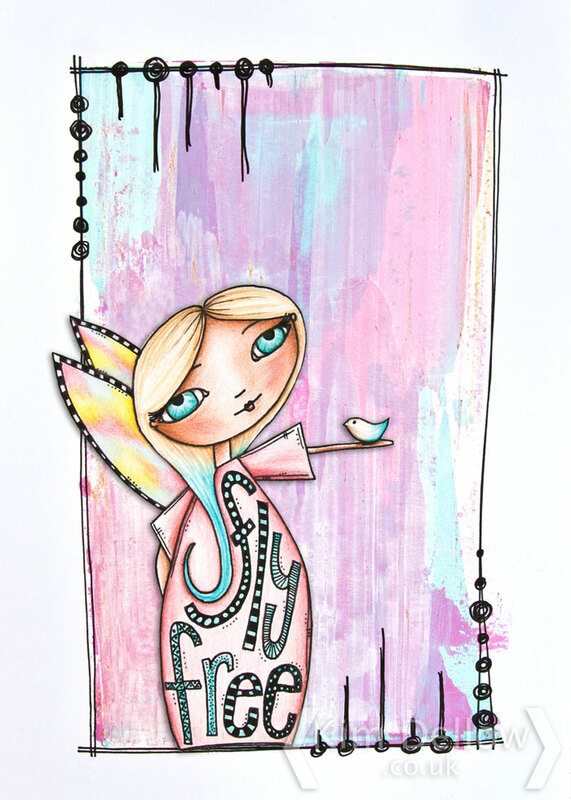 Trish has just launched five designs of her beautiful whimsical girl sketches as rubber stamps. Wahoo! Well done Trish! This one is called Wordgirl Five but I’m unofficially calling her Fly Free. I thought I would use her on one of my faux printed look backgrounds but I’ve also added in a border as inspired by Trish herself. By the way, you can find a video showing how to do the Faux Printed Look technique on my YouTube channel. I reached for my Prismacolor pencils to colour her, I’ve got to admit that pencils are still one of my favourite ways to colour stamped images. It has actually been a while since I last coloured an image, think it might have been January, how mad is that? I was totally in my happy place colouring Fly Free (Wordgirl 5) what a perfect stamp to colour, I love that Trish has given us scope to let our creative colouring play in such a gorgeous design. Trish’s girls are so sweet I can see them being used in all sorts of different projects art journaling, cardmaking, off the page and memory keeping, so versatile. I’m looking forward to using them again. Massive congratulations Trish, lots of luck with your new range and I can not wait to see more. You can find out more about Trish’s new range over on her blog Ink Paint Beads and you can see the new range, and buy them, over in her Etsy shop Star Trish Design. I do not know about you but I need a lot of crafty and arty distraction at the moment. If you haven’t been following the news in the UK and the EU then things are a little shaky here to say the least. That’s a bit of an understatement, but I just wanted to pop on my blog today to share art and inspiration and perhaps a little distraction for a moment or two for anyone who needs it and whatever your situation! 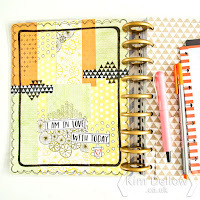 So my share today is my recent Blitsy Blog tutorial, I hope that you like it! I’ve been altering my MAMBI Happy Planner again. 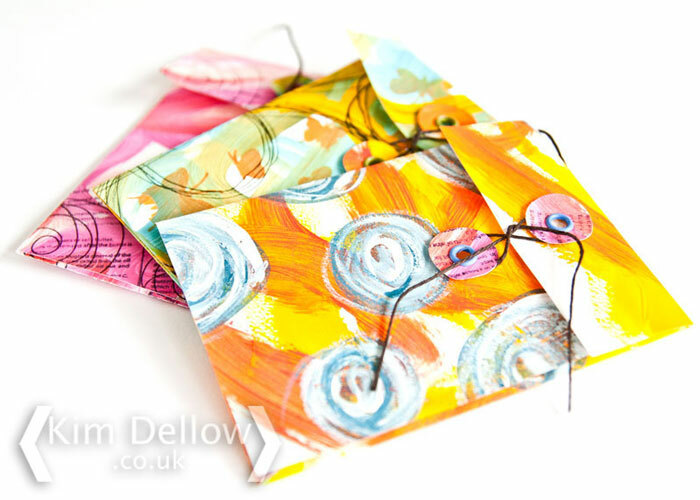 I’ve used mixed media techniques to add even more colour to the discs and I show all the steps to do this over on the Blitsy Blog in my ‘How To Alter Your Happy Planner Discs’. I know the discs look pretty cool as they are but hey, if you want to make them even cooler then how about giving this altering idea a go? 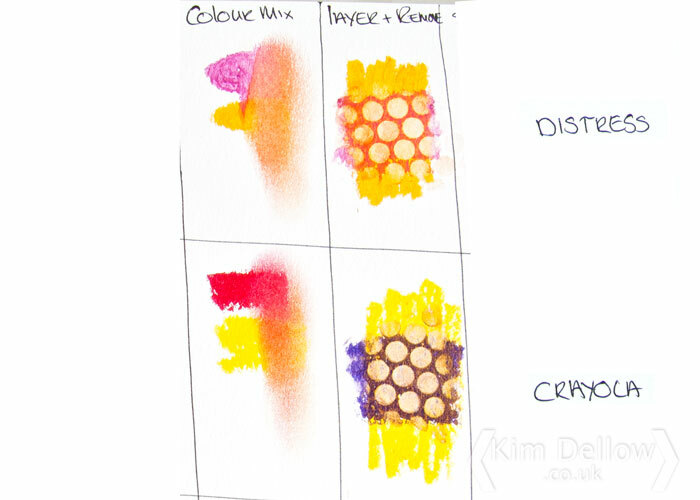 You do not have to go down the mixed media route, you could always use patterned and designer paper if you prefer. As always do come drop me a link/ nudge/ share if you are at all inspired to do something similar, I would love to see. Hey Guys, if you are looking for something a bit painty and a bit textured then pop on over to the Blitsy Blog today! I’m sharing the making of this mixed media art journal page, it is an abstract piece with lots of lush layers and what’s this? No circles? Nope! I’ve gone all right angles and straight lines this week! So don’t you be square and miss out on seeing it! Did you see what I did there? *Sigh* It has been a long week! 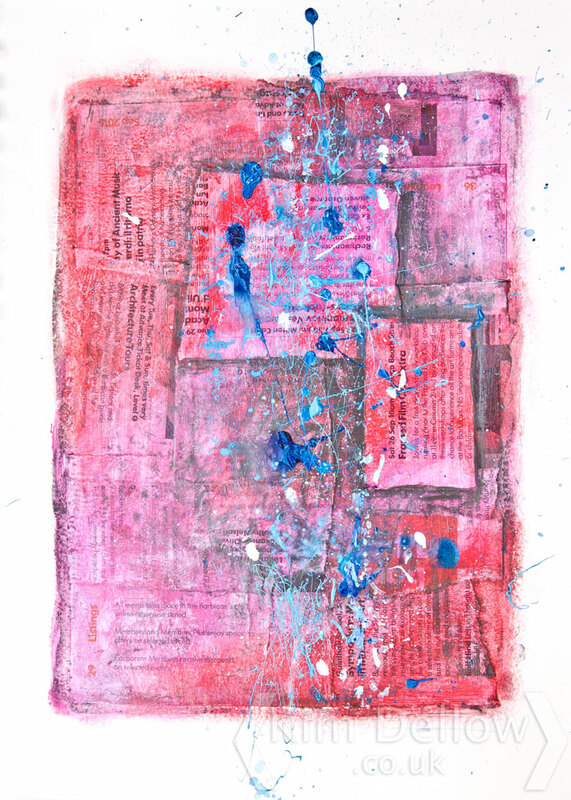 If you fancy seeing how this one was put together then do pop on over to the Blitsy blog and my ‘How To Make Abstract Journal Art’ tutorial. 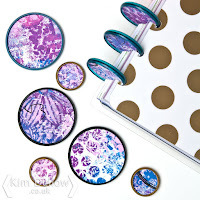 It’s my turn on the Blitsy blog today and I thought I would play with one of the cute mini clipboards that they have in stock. I’ve used some of my favourite mixed media techniques to add a bit of floral colour to this clipboard. 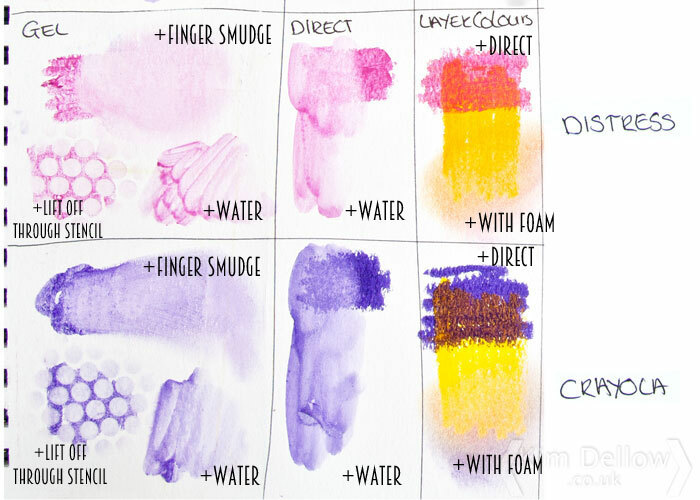 I really love Derwent Inktense blocks and haven’t used them for a while so I thought this would be a great opportunity to get them out and share with you a few of my favourite ways to use them. They are so bright and so versatile! I also discovered the gorgeous mandala pattern The Crafter’s Workshop stencils, like this lovely Sweet Posey stencil, so I just could not resist using this as well in the project. It is super simple way to add a bright spin on clipboard altering and you can make different flowers or even add a bunch if you like! For all the details do pop on over to my ‘How To Decorate A Mini Clipboard’ tutorial on Blitsy. Time for a Blitsy Blog post from me and this week I have something a little different to share from my usual step by step tutorials. It’s a little exploration into solar printing with the Jacquard SolarFast Dyes. 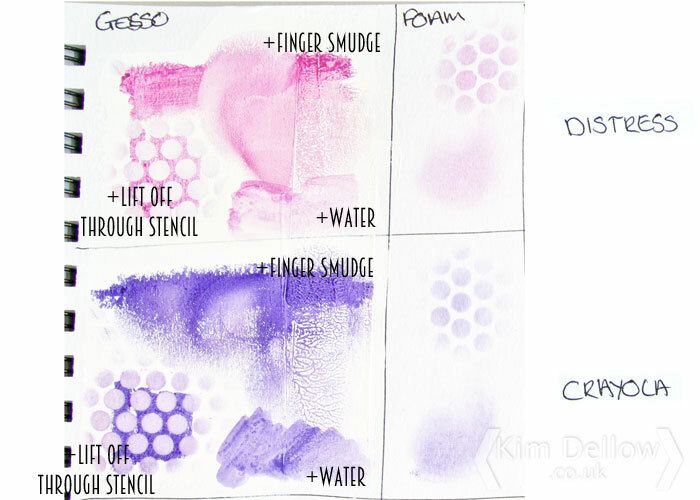 This week I’m getting started with these SolarFast Dyes on paper and sharing the results, you can use them on fabric too. I’ve played with solar printing before using different products, and it is always good fun, but I have not tried these types of dyes before so I was keen to give them a go. Have you used them? If you like solar printing what have you tried before? If you are completely new to solar printing then I can definitely recommend having a play it is great fun! If you want some inspiration to get you started then do visit my How To Get Started With SolarFast Dye blog post over on the Blitsy blog. It’s a Face Off! Or in this case a Crayon Off! 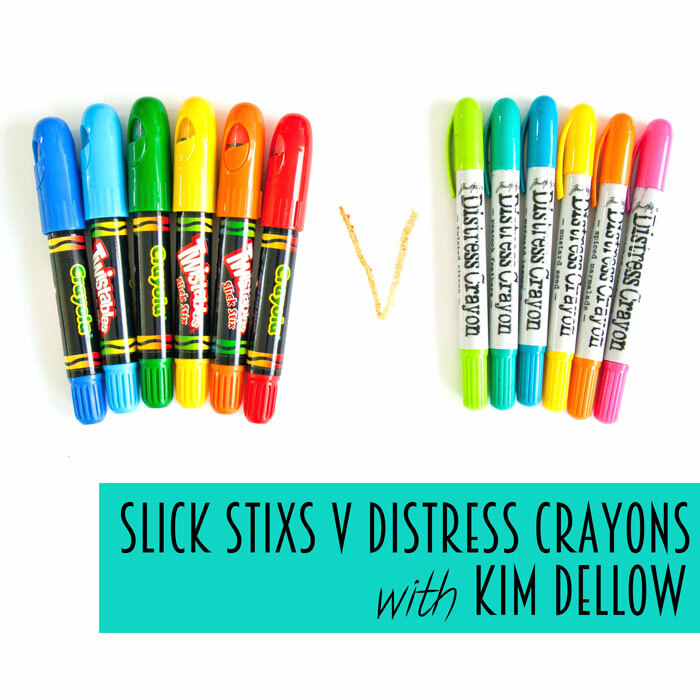 I’m comparing and contrasting the Ranger Tim Holtz Distress Crayons with the Crayola Twistables Slick Stix in my latest video. So if you are at all curious about either, or both, of these products than stick around to see my results! So for those of you that don’t know, or haven’t seen these two products yet they are both super soft, super creamy crayons that are highly pigmented and react to water. They both come in plastic tubes with lids with twist-able ends to move the product up the tube and are going to be great for all sorts of mixed media applications. 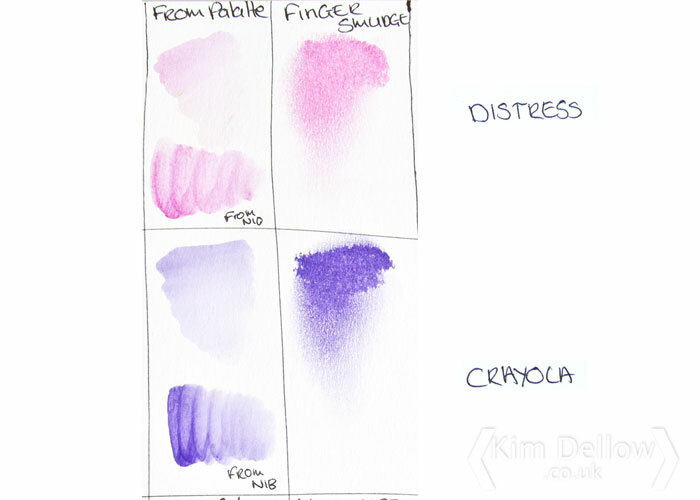 The Tim Holtz Distress crayons were launched this year at the CHA and I took the plunge and bought a set from Blitsy. Then Leandra Franich introduced me to the Crayola Slick Stix as she had them on the PaperArtsy stand, (thanks Leandra for the pack!). Anyway, long story cut not so short, I had to try them both out and share the results with you all didn’t I?! In the video I walk you through both products then test both products in different techniques before giving you a closer look at the results and my personal conclusions about them both. 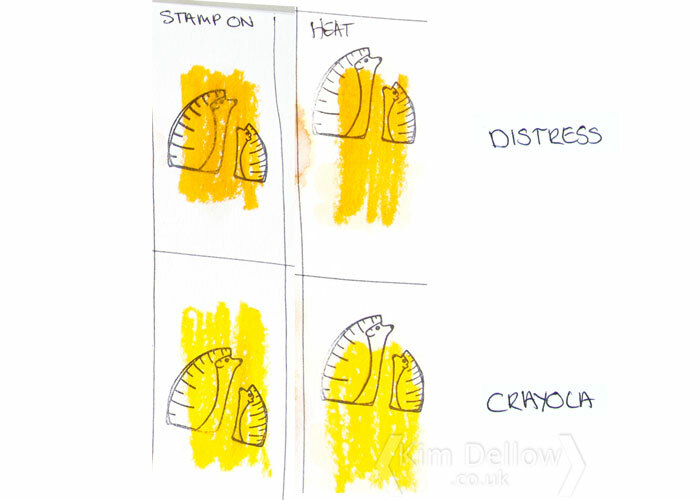 I tried both crayons on paper, gesso-treated paper and gel medium – treated paper. I used different methods to apply the crayons and then used different ways to manipulate them to see how they work and how they compare to each other. By the way the hedgehogs are from my own PaperArtsy stamps, in case you were wondering! Enjoy the video and let me know what you think about these two products. Have you tried either of them yet? If you haven’t which do you think you might like to try? Let me know and if you have any questions feel free to ask. Don’t forget to pop over to my YouTube channel to subscribe to be notified when I put up new videos. 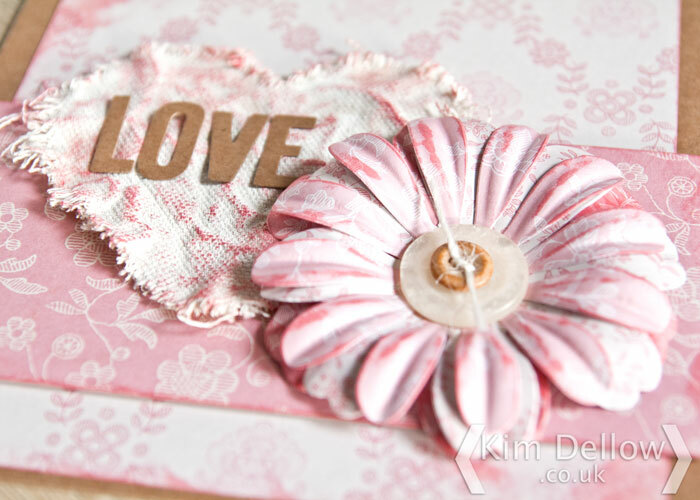 It is Blitsy time and this week I have a card making tutorial on the blog. I’ve gone all pink, well with a smidge of kraft and cream too, but mostly pink, pink with some more pink for good measure! I’ve obviously been in a bit of a pink mood as well as a teal mood at the moment. 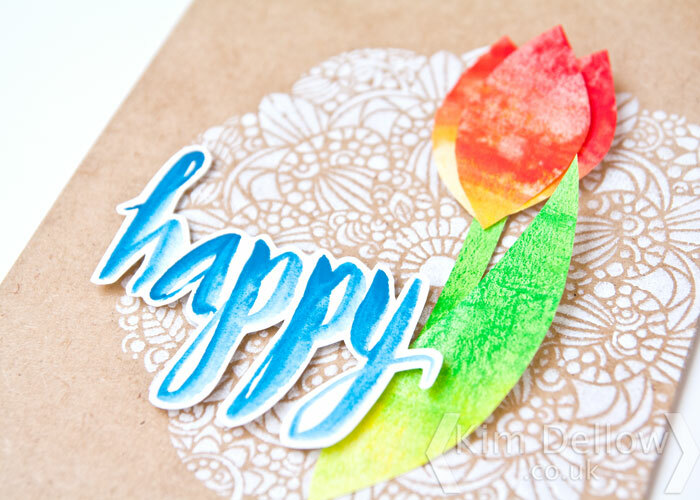 So if you are looking for something a bit inky, card-y and mixed media-y then go take a look on the Blitsy blog to see how I put this Mixed Media Big Bloom Card together. Of course yours doesn’t have to be pink if you don’t want it to be! 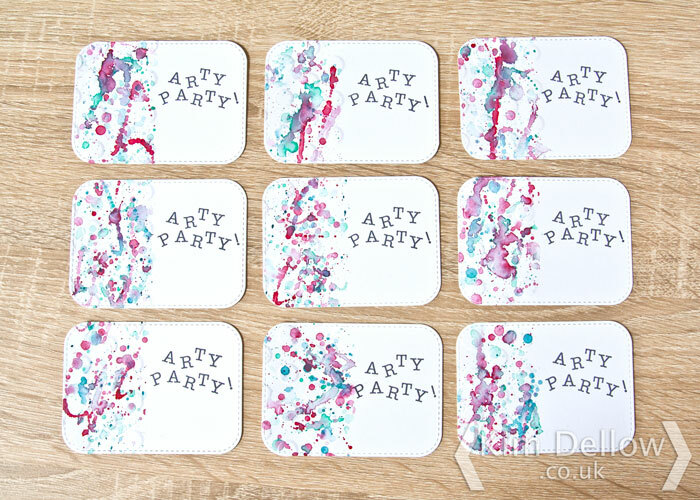 It is tutorial time again from me on the Blitsy blog and this week I’m mass producing invites to an Arty Party! Ok, so I had to add the arty in front of party ‘coz I love the way it sounds but really the mixed media method I demonstrate in this tutorial is a great way to bespoke your invites for any sort of party! The great thing about this method is that you can make as many invites as you need and quite quickly too. But you don’t have to just use it for invites, how about your own DIY Business cards? You can see how I made them in my tutorial on the Blitsy blog. Now all you need to do is get the party started! Happy Leap Day and welcome to the Blitsy Leap Day Blog Leap and your chance to win $100 to spend at Blitsy! It is a Leap Day blog hop so if you have arrived here first then check out the rest of the blogs listed below. If you have already been hopping along then I am your fourth stop on the Leap. Wahoo! I hope you are enjoy the leap! If you win the $100 to spend at Blitsy what will you spend it on? Well I have some possible ideas of projects you can make with products you can find in Blitsy so I hope you enjoy the inspiration and scroll on down to enter the giveaway and find the next blog to Leap to. 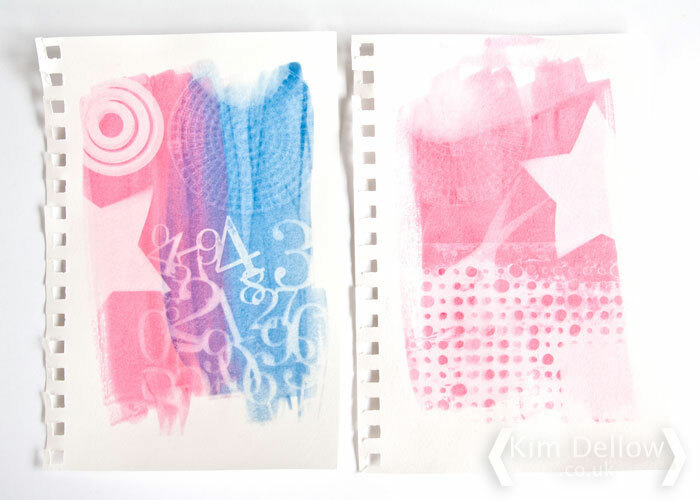 My first project is a tutorial showing you how to use dies to make stencils and I’ve used my DIY stencils to alter some journaling cards with paint. I used a Waffle Flower Die and a Lawn Fawn die to make my stencils. It is super easy to do and you can get some fabulous effects! My next project is a tutorial to make some cute mixed media keepsake envelopes and if you click through to the tutorial you will find a template there free to download and use. I made mine using Tim Holtz distress paints which you can also find at Blitsy. All the products I’ve used are linked in the tutorials so you can easily find what you need. What Else Is Happening At Blitsy? Check out these other Blitsy events for Leap Day and National Craft Month! Blitsy have some 29 cent items hiding throughout the shop for Leap Day so go see if you can hunt them down and grab a bargain! 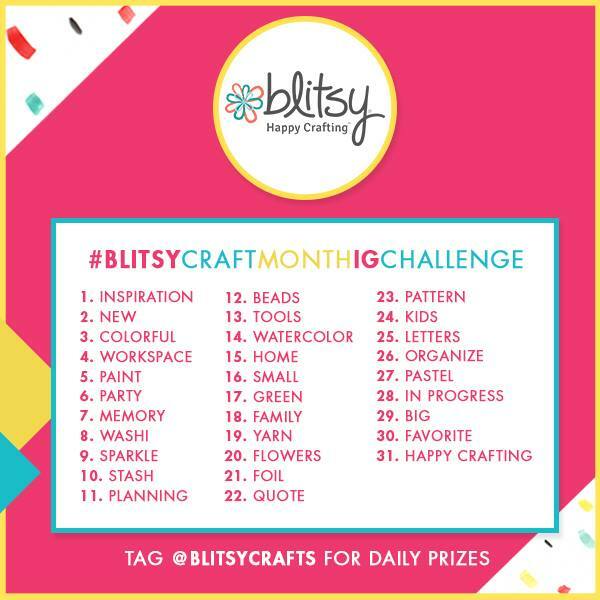 Also don’t forget to catch up with Blitsy 1st March as we kick off National Craft month with Live with Blitsy at 8am / 10am / 12pm / and 2pm CST. Each broadcast will have new challenges, giveaways and demos. Hope that has got your creative brain a whirling! Now all you need to do for a chance to win the $100 is to enter the Rafflecopter below. Don’t forget to visit all eight of the blogs and enter the secret word you find on each blog into the Rafflecopter. You have until 11:59pm CST on Wednesday, March 3rd to enter. The winner will be posted on all the blogs as well as announced on Live with Blitsy on Thursday at 10am CST. Blog 4: Kim Dellow YOU ARE HERE!